Takahiko Kato, PhD, is a chief researcher in the Center for Technology Innovation – Materials, Research & Development Group at Hitachi Ltd, Tokyo, Japan. He is also a Guest Professor in the Center for Advanced Research of Energy and Materials at Hokkaido University in Japan. Dr. Kato has over thirty years’ research experience in the areas of practical materials technology and materials science related to boiling water reactors, fusion reactors, superconductors, electrical devices, and sustainable energy devices. Carol Handwerker is the Reinhardt Schuhmann Jr. Professor of Materials Engineering at Purdue University, Indiana, US. 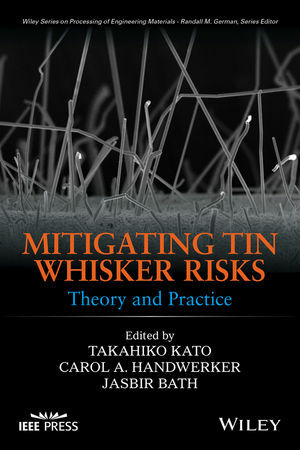 Previously, she was chief of the Metallurgy Division at the National Institute of Standards and Technology (NIST), where she participated in the NCMS (National Center for Manufacturing Sciences) Lead-Free Solder Project, co-chaired the iNEMI Lead-Free Alloy Selection Team, and participated in the iNEMI Tin Whisker Fundamentals Project. Jasbir Bath is the owner of Bath and Associates Consultancy LLC, California, US. He has more than twenty years' experience in research, design, development, and implementation in the areas of soldering, surface mount, and packaging technologies. Bath has been chair of various iNEMI lead-free consortia involving OEMs, EMS, and component and material supplier companies on alloy selection, assembly, and rework.